Jonas Salk claimed that it wasn’t until he left his basement lab in the States and went to clear his head in a monastery in Assisi that he was able to solve the puzzle of polio. 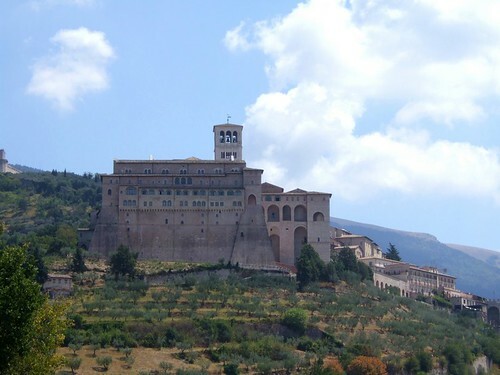 He felt that Assisi’s colonnaded walks, serene architecture and hillside views had provided the right mental conditions for the necessary creative and intellectual leap. 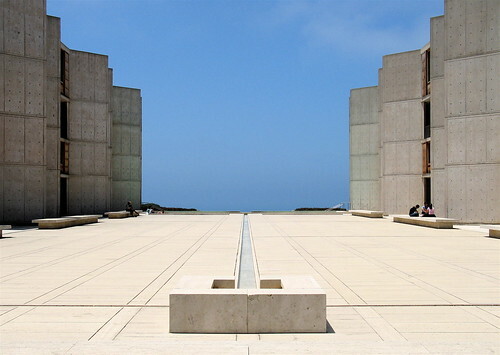 This story is from the April edition of Scientific American, in an article on neuroscience by Emily Anthes titled “How Room Designs Affect Your Work and Mood.” Salk was so certain of the effect of Assisi’s architecture on his work that he later hired Louis Kahn to build the now famous Salk Institute (photos below), and the influence of Assisi is clearly visible—the simple, harmonious colonnades, the long vistas, the pale buttery colour of the stone. Some of the scientific findings in the article confirm what we might already have guessed, while others are more surprising. Lighter, brighter spaces with full-spectrum lighting increase alertness and help guard against depression and, later in life, against cognitive decline. Conversely, rooms intended mainly for relaxation should feature darker colours, dimmer lighting, fewer sharp edges on furniture and bookshelves (these activate the part of the brain that alerts us to danger), and more carpeting. Lower ceilings improve performance in detail-oriented tasks, whereas high ceilings encourage abstract creative thought. Views of nature, particularly distant trees and green space, are proven to significantly aid in creativity, concentration and memory (and in combatting ADD in children). It’s worth reading the whole article (click below). Update: for more on the positive effects of nature, see this and this and this. It seems obvious that architecture would affect human behaviour and capabilities, and it’s exasperating that in the West we so often have to reinvent the wheel, usually by employing science to restore such knowledge—in this case architectural and kinaesthetic knowledge—that has been developed over millennia in other places. There is no substitute for centuries of trial and error. I’m thinking of the carefully worked-out design of monasteries and churches as places that generate inspiration and contemplation for example, or the genius of Japanese house design. But if we have to reinvent the wheel, then I guess we have to reinvent the wheel. In the 60s and 70s the field of environmental psychology made a lot of headway in this area, and now after a long lull, interest in the effect of architectural design on human behaviour seems to be on the rise again. The BC Cancer research building in Vancouver was built with these ideas in mind. 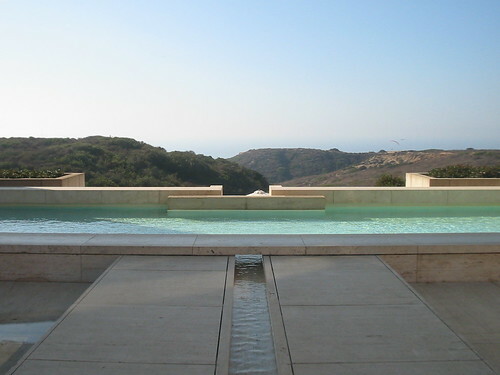 Below, more photos from Flickr of the Salk Institute in La Jolla, California. Update: also read this article and “biophilia.” Even more compelling is the case of MIT’s “Building 20.” Google it. And this article on building for introverts. And see this video by Ilse Crawford – fascinating. In the 1950s prizewinning biologist and doctor Jonas Salk was working on a cure for polio in a dark basement laboratory in Pittsburgh. Progress was slow, so to clear his head, Salk traveled to Assisi, Italy, where he spent time in a 13th-century monastery, ambling amid its columns and cloistered courtyards. Suddenly, Salk found himself awash in new insights, including the one that would lead to his successful polio vaccine. 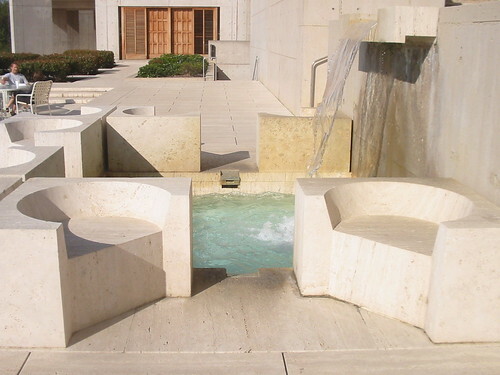 Salk was convinced he had drawn his inspiration from the contemplative setting. 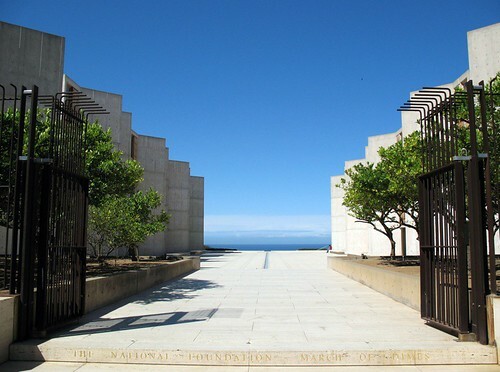 He came to believe so strongly in architecture’s ability to influence the mind that he teamed up with renowned architect Louis Kahn to build the Salk Institute in La Jolla, Calif., as a scientific facility that would stimulate breakthroughs and encourage creativity. Architects have long intuited that the places we inhabit can affect our thoughts, feelings and behaviors. But now, half a century after Salk’s inspiring excursion, behavioral scientists are giving these hunches an empirical basis. They are unearthing tantalizing clues about how to design spaces that promote creativity, keep students focused and alert, and lead to relaxation and social intimacy. Institutions such as the Academy of Neuroscience for Architecture in San Diego are encouraging interdisciplinary research into how a planned environment influences the mind, and some architecture schools are now offering classes in introductory neuroscience. Formal investigations into how humans interact with the built environment began in the 1950s, when several research groups analyzed how the design of hospitals, particularly psychiatric facilities, influenced patient behaviors and outcomes. In the 1960s and 1970s the field that became known as environmental psychology blossomed. “There was a social conscience growing in architecture around that time,” says John Zeisel, a Columbia University–trained sociologist who, as president of Hearthstone Alzheimer Care, specializes in the design of facilities for people who have dementia. Architects began to ask themselves, Zeisel adds, “‘What is there about people that we need to find out about in order to build buildings that respond to people’s needs?’ ” The growth of the brain sciences in the late 20th century gave the field a new arsenal of technologies, tools and theories. 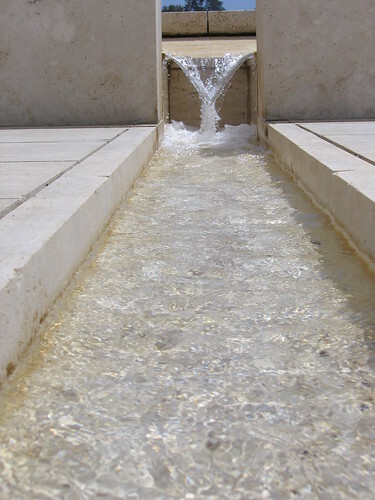 Researchers began to consider “how can we utilize the rigorous methods of neuroscience and a deeper understanding of the brain to inform how we design,” says Eve Edelstein, a visiting neuroscientist at the University of California, San Diego, and adjunct professor at the New School of Architecture and Design, also in San Diego. Because her earlier work had indicated that elevated ceilings make people feel physically less constrained, the investigator posits that higher ceilings encourage people to think more freely, which may lead them to make more abstract connections. The sense of confinement prompted by low ceilings, on the other hand, may inspire a more detailed, statistical outlook—which might be preferable under some circumstances. “It very much depends on what kind of task you’re doing,” Meyers-Levy explains. “If you’re in the operating room, maybe a low ceiling is better. You want the surgeon getting the details right.” Similarly, paying bills might be most efficiently accomplished in a room with low ceilings, whereas producing great works of art might be more likely in a studio with loftier ones. How high the ceiling actually is, Meyers-Levy points out, is less important than how high it feels. “We think you can get these effects just by manipulating the perception of space,” she says, by using light-colored paint, for instance, or mirrors to make the room look more spacious. In addition to ceiling height, the view afforded by a building may influence intellect—in particular, an occupant’s ability to concentrate. Although gazing out a window suggests distraction, it turns out that views of natural settings, such as a garden, field or forest, actually improve focus. A study published in 2000 by environmental psychologist Nancy Wells, now at Cornell University, and her colleagues followed seven- to 12-year-old children before and after a family move. Wells and her team evaluated the panoramas from windows in each old and new home. They found that kids who experienced the greatest increase in greenness as a result of the move also made the most gains on a standard test of attention. (The scientists controlled for differences in housing quality, which turned out not to be associated with attention.) Another experiment demonstrated that college students with views of nature from their dorm rooms scored higher on measures of mental focus than did those who overlooked entirely man-made structures. Green play space may be especially beneficial for students with attention disorders. Landscape architect and researcher William Sullivan of the University of Illinois and his colleagues studied 96 children with attention deficit disorder (ADD). The scientists asked parents to describe their children’s ability to concentrate—say, on homework or spoken directions—after the kids engaged in activities such as fishing, soccer and playing video games in which they were exposed to varying amounts of greenery. “The parents reported that their children’s ADD symptoms were least severe after they’d been in or observing green spaces,” says Sullivan, whose results were published in 2001. Such findings may be the result of a restorative effect on the mind of gazing on natural scenes, according to an idea developed by psychologists Stephen Kaplan and Rachel Kaplan, both at the University of Michigan at Ann Arbor. By this theory, the tasks of the modern world can engender mental fatigue, whereas looking out at a natural setting is relatively effortless and can give the mind a much needed rest. “A number of studies have shown that when people look at nature views, whether they’re real or projected on a screen, their ability to focus improves,” Stephen Kaplan says. Nature views may be more rejuvenating than urban scenes are, Sullivan adds, because humans have an innate tendency to respond positively toward nature—an explanation dubbed the biophilia hypothesis. “We evolved in an environment that predisposes us to function most effectively in green spaces,” he says. In a December 2008 paper in Psychological Science, Stephen Kaplan also proposes that urban settings are too stimulating and that attending to them—with their traffic and crowds—requires more cognitive work than gazing at a grove of trees does. Using nature to boost attention ought to pay off academically, and it seems to, according to a study that will be published in spring 2009 and that was led by C. Kenneth Tanner, head of the School Design & Planning Laboratory at the University of Georgia. In their analysis of more than 10,000 fifth-grade students in 71 Georgia elementary schools, Tanner and his colleagues found that students in classrooms with unrestricted views of at least 50 feet outside the window, including gardens, mountains and other natural elements, had higher scores on tests of vocabulary, language arts and math than did students without such expansive vistas or whose classrooms primarily overlooked roads, parking lots and other urban fixtures. In addition to greenery, the natural world has something else to offer building occupants: light. Daylight synchronizes our sleep-wake cycle, or circadian rhythm, enabling us to stay alert during the day and to sleep at night. 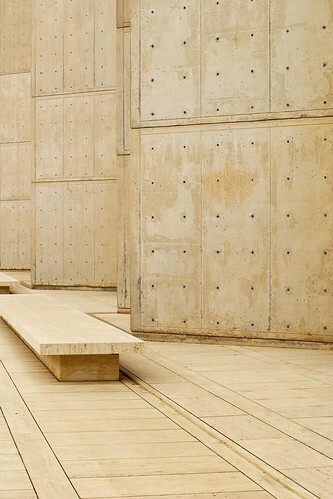 Nevertheless, many institutional buildings are not designed to let in as much natural light as our mind and body need. A lack of light can be a particular problem for schoolchildren. “You take a child who probably didn’t get enough rest, dump them off in front of a school where there’s very little natural light, and guess what? They have jet lag,” Tanner says. A 1992 study followed Swedish schoolchildren in four different classrooms for a year. The research showed that the kids in classrooms with the least daylight had disrupted levels of cortisol, a hormone that is regulated by the body’s circadian rhythms. 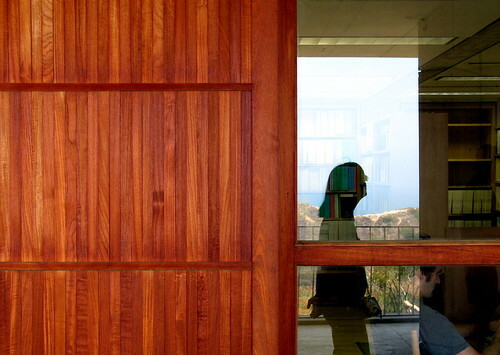 Adequate sunlight has also been shown to improve student outcomes. In 1999 the Heschong Mahone Group, a consulting group based in California that specializes in building energy-efficient structures, collected scores on standardized tests of math and reading for more than 21,000 elementary school students in three school districts in three states: California, Washington and Colorado. Using photographs, architectural plans and in-person visits, the researchers rated the amount of daylight available in each of more than 2,000 classrooms on a scale of 0 to 5. In one school district—Capistrano, Calif.—students in the sunniest classrooms advanced 26 percent faster in reading and 20 percent faster in math in one year than did those with the least daylight in their classrooms. In the other two districts, ample light boosted scores between 7 and 18 percent. Retirement homes can also be too dark to keep circadian clocks ticking away normally. In a study published in 2008 neuroscientist Rixt F. Riemersma-van der Lek of the Netherlands Institute for Neuroscience and her colleagues randomly selected six of 12 assisted-living facilities in Holland to have supplemental lighting installed, bringing the luminosity to approximately 1,000 lux; the other six provided dimmer lighting of around 300 lux. On tests taken at six-month intervals over three and a half years, the residents of the more brightly lit buildings showed 5 percent less cognitive decline than occupants of the six darker buildings did. (The additional lighting also reduced symptoms of depression by 19 percent.) Other studies show that circadian rhythms keep the brain functioning optimally by calibrating hormone levels and metabolic rate, for example. Elderly people—especially those with dementia—often have circadian disruptions. Providing bright daytime light, the researchers believe, could have helped restore their proper rhythms and thus have improved overall brain function. Researchers recommend using blue light-emitting diodes (LEDs) and full-spectrum fluorescent lights in buildings during the day; both have enough blue light to trigger the circadian system and keep occupants awake and alert. After dark, buildings could switch to lamps and fixtures with longer-wavelength bulbs, which are less likely to emit light detected by the circadian system and interfere with sleep at night. “If you can give people a lighting scheme where they can differentiate between day and night, that would be an important architectural decision,” says Mariana Figueiro, program director of the Lighting Research Center at Rensselaer Polytechnic Institute. Although bright light might boost cognition, recent work suggests it counteracts relaxation and openness—effects that might be more important than alertness in some settings. In a 2006 study counselors interviewed 80 university students individually in either a dim or a brightly lit counseling room. The students then completed a questionnaire about their reactions to the interview. The students questioned in the dim room felt more relaxed, viewed the counselor more positively and shared more information about themselves than those counseled in the brighter room did. The findings suggest that dim light helps people to loosen up. If that is true generally, keeping the light low during dinner or at parties could foster relaxation and intimacy. A room’s contents can be similarly soothing—or the opposite. Neuroscientist Moshe Bar of Harvard Medical School and Maital Neta, then his research assistant, showed subjects photographs of various versions of neutral objects, such as sofas and watches. The examples of each item were identical except that some had curved or rounded edges, whereas others had sharp, squared-off perimeters. When asked to make snap judgments about these objects, subjects significantly preferred those with curves. Bar speculates that this preference exists because we associate sharp angles with danger. (The brain may sense a greater hazard, for instance, from a cave in which jagged rocks protrude from the walls than from one in which rounded rocks do the same.) “Maybe sharp contours are coded in our brains as potential threats,” he says. Bar provided some support for this theory in a 2007 study in which subjects again viewed a series of neutral objects—this time while their brains were scanned using functional magnetic resonance imaging. The neuroscientist found that the amygdala, which is involved in fear processing and emotional arousal, was more active when people were looking at objects with sharp angles. “The underpinnings are really deep in our brain,” Bar explains. “Very basic visual properties convey to us some higher-level information such as ‘Red alert!’ or ‘Relax, it’s all smooth; there’s no threat in the area.’ ” He acknowledges that an object’s contour is not the only element that informs our aesthetic preferences, and his research is still in its early stages. But all other things being equal, filling a living room or waiting room with furniture that has rounded or curved edges could help visitors unwind. Furniture choices can also influence human interaction. Some of the earliest environmental psychology research focused on seating plans in residential health care facilities; scientists discovered that the common practice of placing chairs along the walls of resident day rooms or lounges actually prevented socializing. A better plan to encourage interaction, researchers found, is organizing furniture in small groupings throughout the room. A 1999 study by psychologists at the Otto-von-Guericke University of Magdeburg in Germany and Uppsala University in Sweden examined seating in a different setting. Over eight weeks and more than 50 lessons, the researchers rotated a class of fourth-grade students between two seating arrangements: rows of desks and a semi circle of desks around the teacher. The semicircle configuration increased student participation, boosting the number of questions pupils asked. Other studies suggest that putting desks in rows encourages students to work independently and improves classroom behavior. Carpeting can also grease the social wheels. In hospitals, carpet increases the amount of time patients’ friends and families spend visiting, according to a 2000 study led by health care design expert Debra Harris, now president and CEO of RAD Consultants in Austin. Such social support may ultimately speed healing. Of course, carpeting is much harder to clean than traditional hospital flooring—and may present a health hazard in some settings—so it may not be appropriate for places such as an emergency room, where there is high patient turnover and plenty of mess. But rooms, buildings or wards that are home to long-term patients, such as assisted-living facilities, may benefit from carpets. The struggle should pay off, experts believe, because when designers fabricate buildings with the mind in mind, the occupants benefit. Well-designed special care units for Alzheimer’s patients reduced anxiety, aggression, social withdrawal, depression and psychosis, according to a 2003 study by Zeisel and his colleagues. And school design can account for between 10 and 15 percent of variation in elementary school students’ scores on a standardized test of reading and math skills, suggests a 2001 report by investigators at the University of Georgia. Note: This article was originally printed with the title, “Building Around the Mind”. This entry was posted on Saturday, May 2nd, 2009 at 5:38 pm	and is filed under architect, architecture, art, cities, design, green, interiors, landscaping, urban planning. You can follow any responses to this entry through the RSS 2.0 feed. You can leave a response, or trackback from your own site. 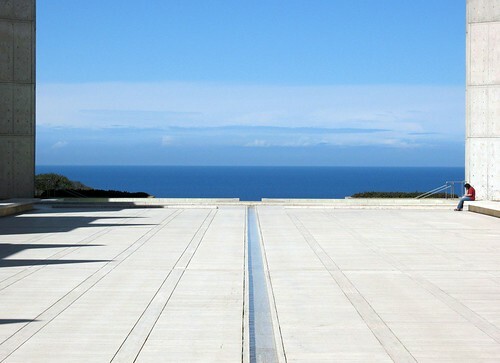 The symmetry of the design – the way the walls frame the sapphire blue sea and sky and horizon – is not only picturesque; it is therapeutic for the weary soul. I am a sculpture student, and am becoming increasingly interested in the cognitive way of ‘approaching’ a room. This piece was of particular interest, however, I am looking for more information on furniture and or domestic architecture. Have you any leads in which I could follow? I don’t know of articles or studies specifically dealing with this as a field (as opposed to about specific pieces of art or furniture design), but I’d start with the field of ergonomics to see if there might be some work that also deals with the psychological effects as well as the the pure body mechanics of furniture design. Otherwise I’d say that what applies to room design also applies to furniture – sharp edges produce guardedness rather than the relaxation produced by smooth or soft surfaces. You might also look at my post on seating platforms and conversation pits (just use the search field and you’ll find it). I’ll do some research too but I don’t think enough work has been done in this general area. I can think of a couple of recent studies that involved some strange phenomena involving imagery – it has been found that a view of trees, either from a window or even just in a painting or photograph, actually changes brain chemistry, promotes rest and healing, and reduces ADHD in children. I’d say art in general has a beneficial effect on people. If I can find any studies backing this up I’ll let you know. If you find anything, can you post it here? hi! I am working on a project about the effect of architecture in mind,for example how will it be different if a class room would be circle instead of squer.Can U help me????? Sorry, don’t know. But if you find out, please post here! Im working on a health assignment for school and i was wondering more specifically, Will are rooms design effect the amount of sleep someone gets? @Jacob, I’m not sure – does anyone else know? Makes one wonder about the strategy of placing so many white collar workers in cubicles in low-ceilinged rooms, ie., government officials and employees, lower echelon bankers, etc. Might they acquire a broader perspective if given more spacious quarters? I’m not sure they want them to have a broader perpsective! If you know what I mean. I find this very interesting. From personal experience , dim light has a negative effect on me. The dimness puts me in a lost state. I am lost in a sense that time is confusing, it’s hard to explain. It seems like the time of day is not obvious because of the dim light. Anyone have some suggestions for Kanny? I’m not an expert in this – I am merely reprinting the article here. Thanks!